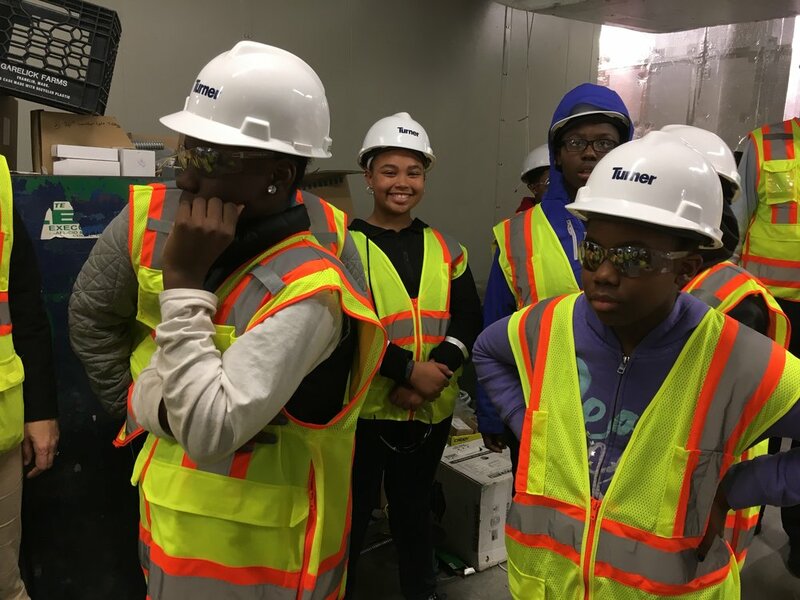 On November 16th, Harlem Lacrosse-Boston student-athletes received an exclusive and intimate inside look at an active Turner Construction project site. The building at 602 Commonwealth Avenue is going to be the Boston University Center for Integrated Life Sciences and Engineering. The day began with a presentation of the design processes and materials used in the creation of the structure, and included a computerized 3D model and a time lapse video of the building being constructed. The presentation was followed by a tour of the active project site, but not before students suited up in safety vests, safety glasses, and hard hats. The tour weaved throughout the nine-story building and included views of the lab, duct system, and mechanical and electrical spaces. Afterward, students asked engineers great questions and were treated to an awesome surprise when they were told they could take the vests, glasses, and hard hats home with them. 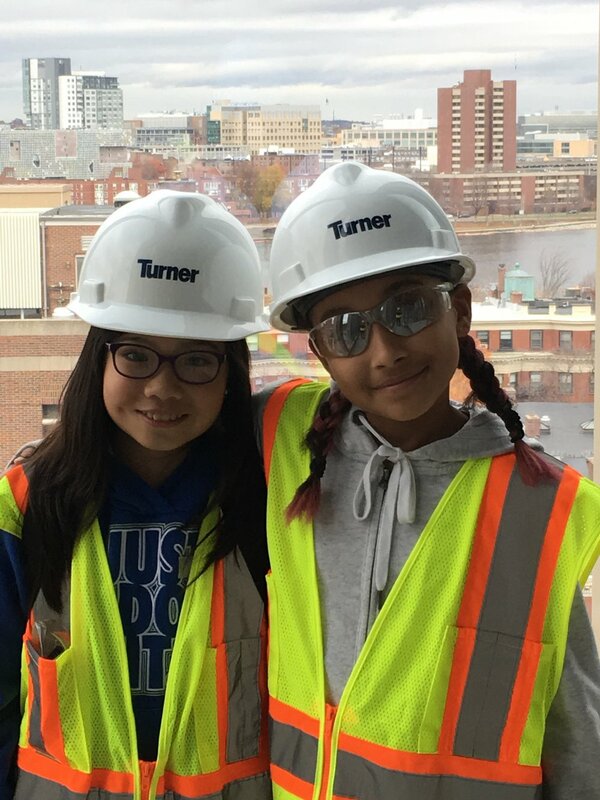 A huge thank you goes out to the Turner Construction family and especially employees Mo, Ali, Emil, Alison, Allison, Wes, Alina, Maureen, and all the construction workers who we met throughout the tour. Thanks for opening our eyes to what you do every day and to a new potential career path!